FSTOP123 - Outstanding Stock Photography - Show You Care! After Hurricane Harvey devastated the Houston, Texas area, many local groups banned together to help those affected by the horrific storm. 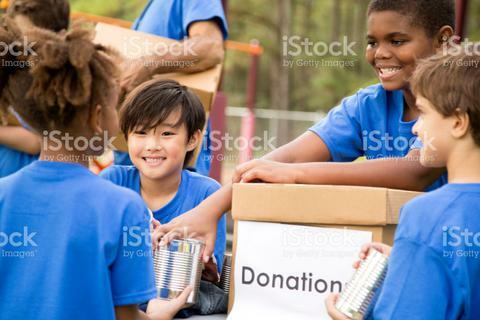 To demonstrate the way in which Houston area residents came together to overcome this tragedy, the group of school children shown above portray a sports team who has organized a canned food and clothing drive for the victims. Along with the charity event, these children also had lots of fun playing on the playground, enjoying a game of soccer, and hosting a park clean-up day in their neighborhood! To view or download the image above, just give it a click. To view more images and videos from this shoot, click on the link below.